Once you connect to Para with your access keys, you see the dashboard where you see some aggregated information about your app and server. On the left there is a list of object types. These include both core types defined in Java classes and user-defined types created through the API. To create a custom type from the console, go to the “Edit App view” and edit the Datatypes field by adding your own type, then refresh the page and it will appear on the left. 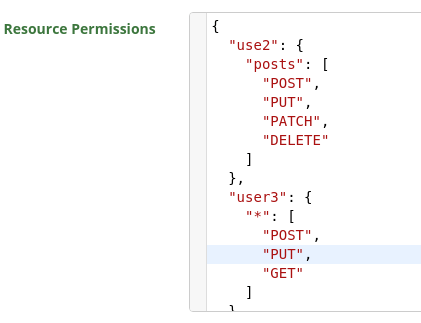 Also you can edit the resource permissions for your app. All types, except Linker (read-only), support CRUD operations in the web console. You can create and edit objects easily and you can also do full-text search and browse through all the pages of results. We hope to add more improvements to the project soon, like address visualization on a map and automatic configuration of custom fields. The admin interface is client-side only and your secret key is never sent over the the network. Instead, a JWT access token is generated locally and sent to the server on each request (valid for a week). We created the web console as a supplementary tool to our paid backend management interface on paraio.com. It has all the features of the web console and more - backup and restore, simple permission management and scalability controls. And we offer free accounts for developers!